President Obama issued an appeal to black voters on Wednesday, warning that a Donald Trump presidency would undo his legacy. Based on early voting data, the President said that the black vote "is not as solid as it needs to be." “I'm going to be honest with you right now... The Latino vote is up. The overall vote is up. 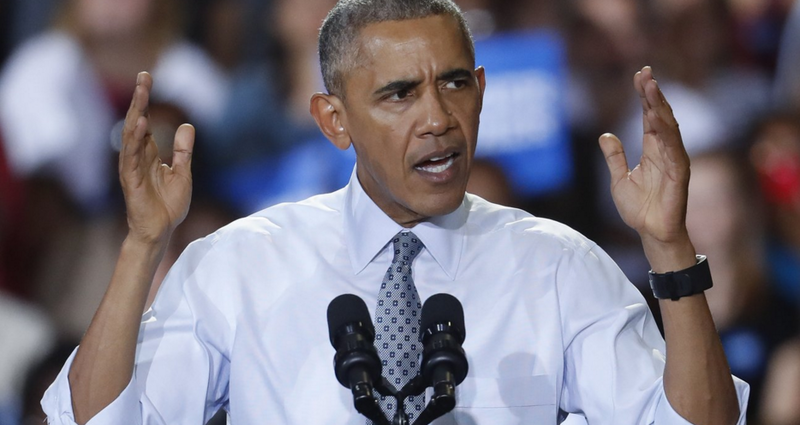 But the African American vote, right now, is not as solid as it needs to be," said Obama. “I know that there are a lot of people in the barber shops, the beauty salons, in the neighborhoods who are saying to themselves, well, you know, we love Barack. We especially love Michelle. It was exciting and now we’re not excited as much. You know what? I need everybody to understand that everything we've done is dependent on me being able to pass the baton to somebody who believes in the same things I believe in," he said. The President went on to say that Trump will “immediately” work to repeal the Affordable Care Act, take thousands of people off Medicaid, cut back on federal funding for historically black colleges and universities, and even uproot the First Lady’s garden. "I guarantee you he’ll dig up Michelle’s garden," said Obama. "You think I'm joking?"